Actually we can reset this Epson printer models (Epson C340, C350, R240, R245 and R250) using SSC software but in this tutorial I write reset this printer using adjustment program because the Epson adjustment program is a good software from Epson but unfortunately is not free software. 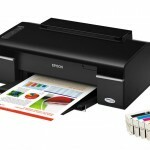 To use adjustment program for Epson C340, C350, R240, R245, R250 require to change date setting in the computer to prevent error when run this software. Date setting for adjustment program C340 and C350 is February 1, 2007. Whereas date setting requires for adjustment program for Epson R240, R245, R250 is February 15, 2006. Change the date on your computer to February 1, 2007 (to prevent error “program cannot be used”). Click accept then click particular adjustment mode. 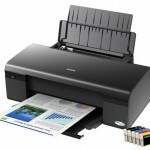 Download Adjustment program for Epson R240, R245, R250 and extract the file. Related to "How to reset Epson Printer C340, C350, R240, R245 and R250"
@Sally, you may not change the date settings on your computer. set date setting in your computer to 15 February 2006 before use this software.